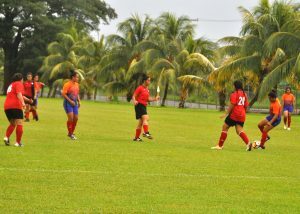 The Fa’atoia United and Lupe o le Soaga Football teams dominated the Football Federation Samoa 2017 National League Senior’s Competition. 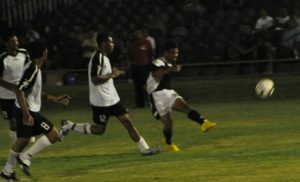 Both football teams stood out from the Football Federation Samoa National League tournament that kicked off from September to mid-December. The tournament was divided into three divisions including Men’s Premier, Women’s Premier and men’s first division. 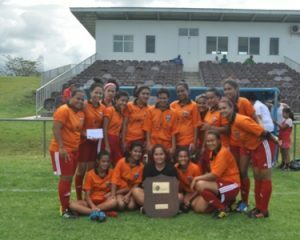 The Fa’atoia United Football team took home the first place for the Premier Women’s National League with Kiwi Football coming second, and Lupe o le Soaga coming in on third spot. The Lupe o le Soaga team took home first place for first division Men’s National League, Sogi Soccer Club in second place while Moata’a in third spot. Lupe o le Soaga also topped the Premier Men’s National League with Lepea Soccer Club coming second and Kiwi Football in third place. The Fa’atoia United Football was pleased with their performance for this year’s National League tournament. “We are pleased with our performance this year compared to the results we had from last year and the previous years, we are excited and we are looking forward to the new journey,” Fa’atoia Captain, Maria Salamasina said. “We are also looking to learn from this year as we move on to next year, but we are trying to establish and inviting more people to join our young squad we have here.” With Lupe o le Soaga the reigning Champions of the Men’s Premier, they are now set to represent Samoa for the upcoming Oceania Football Confederation Championships to be held in American Samoa from the 20th – 26th January 2018. 2018 National League tournament kick off date is yet to be confirmed.